Kerala SSLC Result Official Websites are the websites of Kerala Education department and IT at school project to get Kerala SSLC Result 2018. These websites are created and maintained by NIC Kerala, IT at School, Kerala IT Mission, and Kerala Govt. 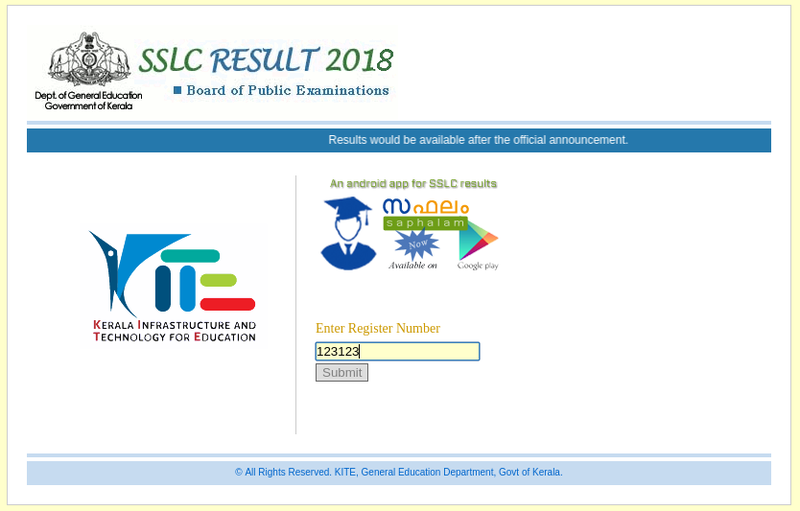 Students can check their SSLC Examination result through these websites after the official declaration by Educational Minister of Kerala State. Kerala SSLC Results usually available on Kerala SSLC Result Official Websites after the official declaration of the result by Education Department. The announcement usually made by Educational Minister of Kerala in a Press meet at Thiruvananthapuram. IT at School project is created an Android App to check the result online. The app is called Saphalam and is downloadable from the google play store. 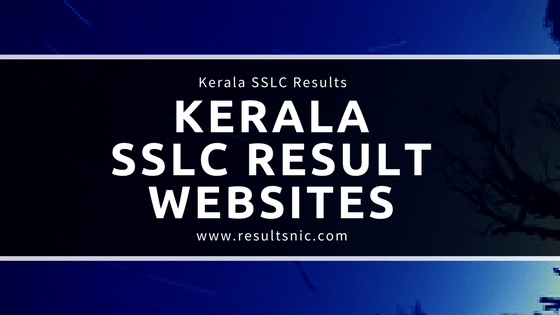 Kerala SSLC Result Official Websites are given below. This includes NIC websites, IT school websites, Kerala Govt websites etc. Kerala is the first state where the SSLC results started publishing online in India. So NIC got a dedicated website for results from Kerala. National Informatics Centre (NIC) Kerala State Centre, DIT, MoCIT, Government of India publish results on their official websites. The websites are given below. IT School project is the IT division of Kerala Education Dept which supports IT education in School Curriculum. Also, Maths Blog and some other third-party websites are release SSLC Results usually. http://keralapareekshabhavan.in/ is the official website of SSLC Examination center in Kerala. Usually, the pareekhabhavan is not providing any results on its official website. The announcement of result is available here. http://education.kerala.gov.in/ is the official website of Kerala Education dept. This website will not serve the SSLC Result. The official websites which serve SSLC Results are given above. Students must try to get their results from the official website to avoid the error in marks or grade. The Kerala SSLC Result will be available after the official declaration in these websites. results.itschool.gov.in [email protected] web Site. These are the official websites of Kerala Govt for various purpose. Saphalam is the official mobile application for inquiring SSLC results 2018. The application is released by KITE (Kerala Infrastructure and Technology for Education). A student will get School wise, District wise & DEO wise results in the Result Analysis Link. The student can also save a result as PDF file and share the result in various social apps. 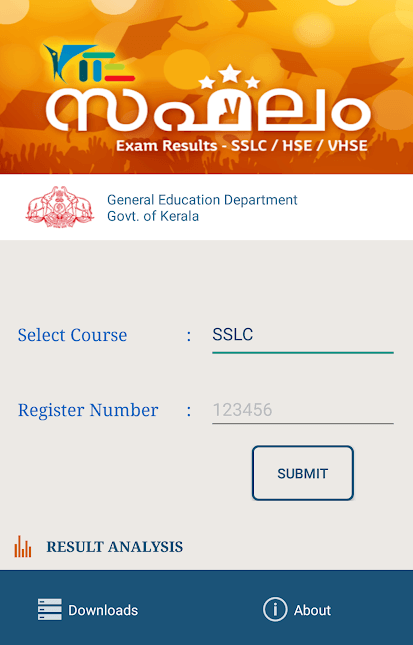 Kerala SSLC results will also be released on the PRD Live app of Kerala Public Relations Department and Saphalam app of Kerala Education Department. Along with Kerala SSLC results, the results of THSLC, THSLC (Hearing Impaired), AHSLC and SSLC (Hearing Impaired) will also release tomorrow. According to reports, these results will be released on Kerala NIC Results websites.